sassyfrazz: 100% Colombian Coffee Giveaway & Sweepstakes! ~ What's behind the best! 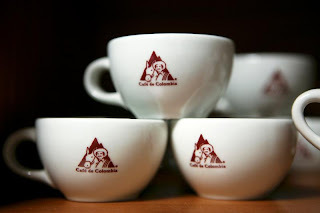 100% Colombian Coffee Giveaway & Sweepstakes! ~ What's behind the best! time coffee drinker, and I have been since I was a toddler. Seriously, I used to have a small cup of Joe with my dad when I was younger than 2 in my own little cup. I love coffee, and I seriously think it is the BEST drink! Coffee is great for socialization, for time with friends, for serving to guests, for after meals, and just well...for anytime. 100% Colombian Coffee is found in numerous brands of coffee because demanding consumers the world over are aware of the importance of its origin. 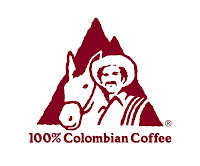 So next time you are shopping for coffee, look for the 100% Colombian Coffee logo - your guarantee to the "richest coffee in the world." Coffee drinker or not, you definitely don't want to miss out on the 100% Colombian Coffee "See What's Behind the Best" sweepstakes. By visiting What'sbehindthebest.com, you'll have the opportunity to learn about the philosophy behind 100% Colombian Coffee and enter to win great prizes!! There are weekly prizes awarded (of coffee) and the grand prize is $10,000! I could think of a few amazing things to do with that kind of cash! I know I am going to sign up! Hey, if it involves winning some great coffee...you can count me in! There's even more great news for coffee lovers! You might have the chance to meet Juan Valdez and his mule, Conchita and taste 100% Colombian Coffee - the richest coffee in the world. They will be embarking on a tour across the United States starting March 2nd in New York City. Click here to see when he is coming to your city! I was given this information from being a member with Mom Select. I was not compensated for my written review. Dove Men Care : Review & giveaway!! Want to WIN AN EARLY RIDER?? I Do! Happy 1 Year Birthday Cole! Healthy Choice tastes great, and is good for you!